(NEW YORK) Katten Muchin Rosenman LLP announced today that Robert A. Stone joined the firm's Employee Benefits and Executive Compensation practice as a partner in its New York office. Mr. Stone focuses his practice on all aspects of Title I of ERISA, including fiduciary standards and prohibited transaction issues. He also regularly advises clients on public and private executive compensation matters. "Robert is an outstanding lawyer with exceptional experience in pension, compensation and tax law," said Katten Chairman Roger P. Furey. "The experience he brings will be particularly valuable to our Financial Services group clients, including sponsors and investors in the investment fund space." 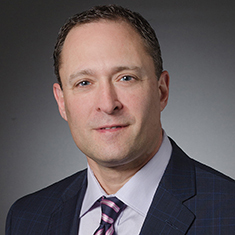 With more than 20 years of experience working in the pension area, Mr. Stone regularly advises clients on ERISA issues relating to the investment and management of pension plan assets, including the negotiation of management agreements, and the sale of securities and financial instruments to benefit plan investors. In addition, he has an extensive background in the structured finance, banking and capital markets practice areas. Mr. Stone also designs equity and incentive compensation programs for both public and private companies and counsels clients on benefit strategies in merger and acquisition transactions. "Designing and delivering employee benefits and executive compensation is a challenging environment for our clients who are constantly facing complex laws and regulations and increasing litigation over employee benefits plans," said Saul E. Rudo, national head of Katten's Tax Planning practice. "Our clients expect the best solutions, and Robert deepens our ability to do that."